Our neighbor has moved. After a year renting the house next door, the family has gone back to their home country, England and it’s been very quiet the last two days. Every now and then, their ever curious black and white cat would coolly saunter into our living room because we always leave the back door open at the terrace. The other prima donna cat stays indoors so we hardly see it. Then there’s the beagle, Jasper. He would look at us forlornly whenever he’s out and sees us playing with our dog, Rooney, in our back garden. Poor Jasper, he looks as though he lacks playtime and a play mate. Our favorites are the cockatoos. Every morning, we can hear their chirps and chatter and every evening, when we come home, they would greet us ‘Hello…’. Sometimes they even amuse by calling out ‘Jasper…’ or imitating their masters. The last two mornings when I awoke, silence. No birds chirping, no truck engine revving up nor the occasional whine from the pooch. I’m not used to it! Goodbye my feathered friends and fur balls. Have a good life. We will definitely miss you (more than your masters). Wasn’t it just last week we took Friday off to play golf? Seems so soon that today we are doing the same thing again except that it’s Thursday and not Friday today. This is the true meaning of time flies when you are having fun. We tee off at 1pm today. 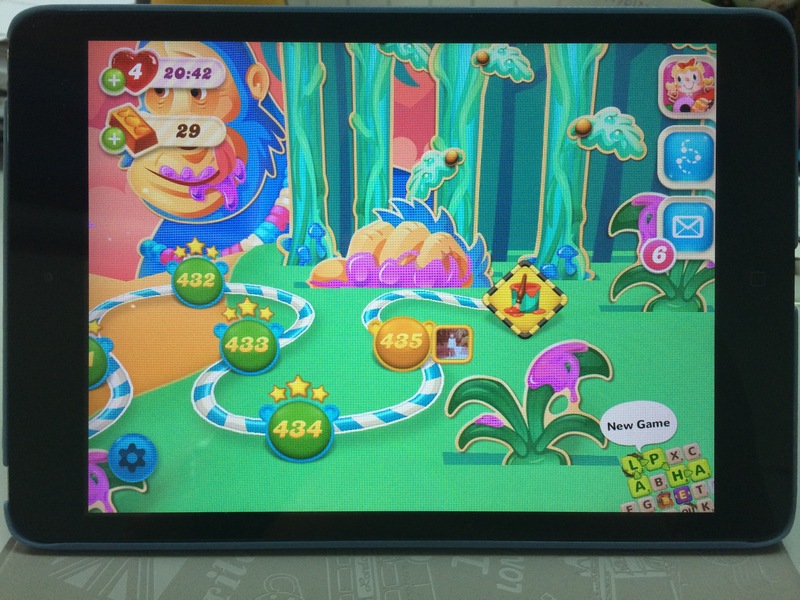 For the first time, my progress for my two games, Candy Crush and Candy Crush Soda, have been halted on the iPad. I have reached the end of both games and no further chapters have appeared yet. 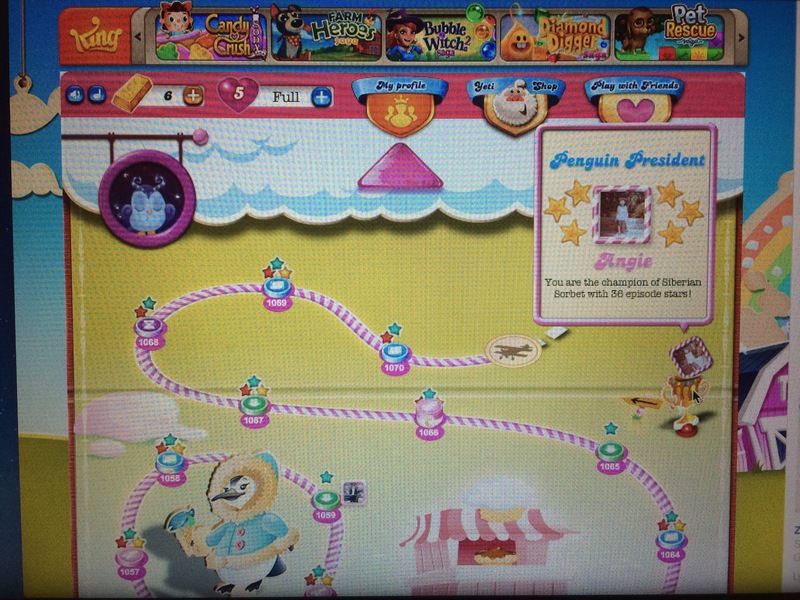 So I play Candy Crush on the laptop in Facebook (at Level 1082 now). As for Soda in Facebook on the laptop, the game appears to stop at Level 435 but I discovered otherwise. The new chapter automatically opened up the minute I completed the level. Phew. Nonetheless, what do I do if faced with such a moment? I play Hexa Blast Monster Busters! Only because I can’t get pass Level 776 for my Farm Heroes and I’ve lost the will to battle being a zookeeper if I don’t fancy rescuing Honey Bears or gobbling up candies. It was an interesting weekend. We took Friday off and drove north to Ipoh to meet our golf buddies for golf. A pleasant drive, we arrived early and it was the beginning of not just a golf outing but also a gastronomic adventure. We started off with lunch at a food court, having a simple soto ayam and a salted fish fried rice before meeting at the golf Club to tee off. Kelab Golf Kinta was interesting to say the least. Unsure of where the greens were many a time, we were also challenged as to where the fairways were on certain holes. At some point, we were even unsure where the red tee boxes were located! Thank goodness for it allowing buggies on course for most of the time, this saved us a lot of grieve. We never completed our round of 18 holes for the rain came down and we had to abandon our game. But nobody complained. Went back to our friend’s home to shower and we headed out for dinner, which was very good and cheap. Paired with the 18-year old Old Parr whiskey, it was a good dinner. Despite a late night, everyone agreed to wake up early the next day for a dim sum breakfast. My goodness, the crowd was crazy at the restaurant, Ming Court! We had to literally stand next to a table to rush the family finishing their meal. I would have choked on a morsel of ‘har kau’ if subjected to this! Here begins the foodie trail. After dim sum, the seven of us piled into the MPV and off to another side of town for coffee and toast. 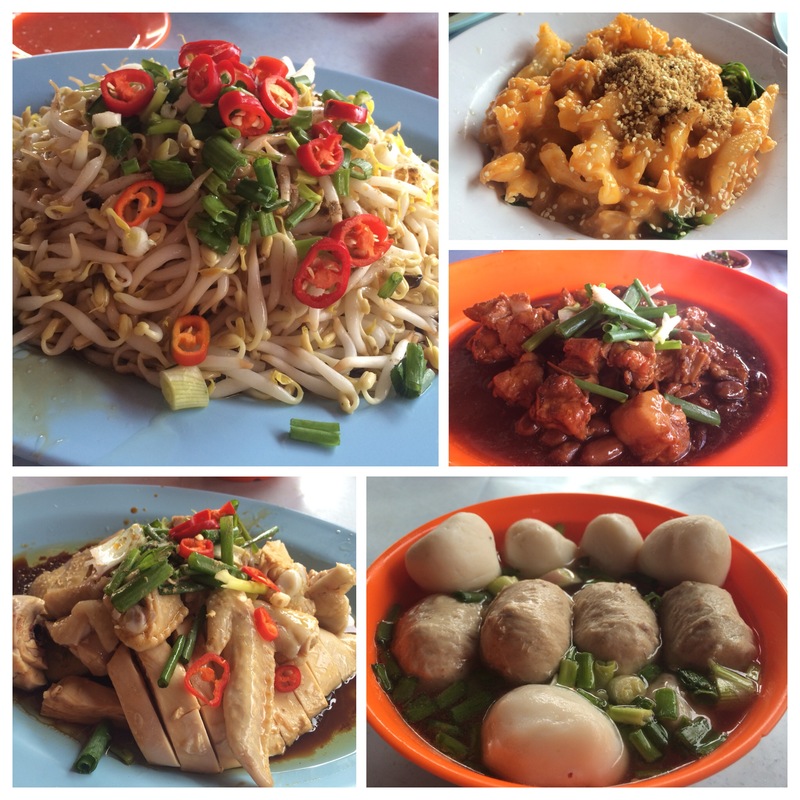 Then we took a drive to another location to have dessert: tau foo fah. A stroll here and there, we tried to burn some calories. After all this, we decided to head to Meru Valley Golf Resort to chill. With 4 buckets of beer (that’s 16 bottles of beer) whilst we chilled, all those burnt calories were piled back on. I know… I cringed. We decided enough beer and we should do lunch! It’s like we all had bottomless pits on that day. Lunch at Lou Wong was simple and satisfying. I belief we were contented by then and decided it was time to make our way back to the city. It was a good outing and we look forward to another occasion like this. Upon reaching home late because along the way, it rained so heavily, we had to go slow. A quick shower and off for dinner with Mom and M2! 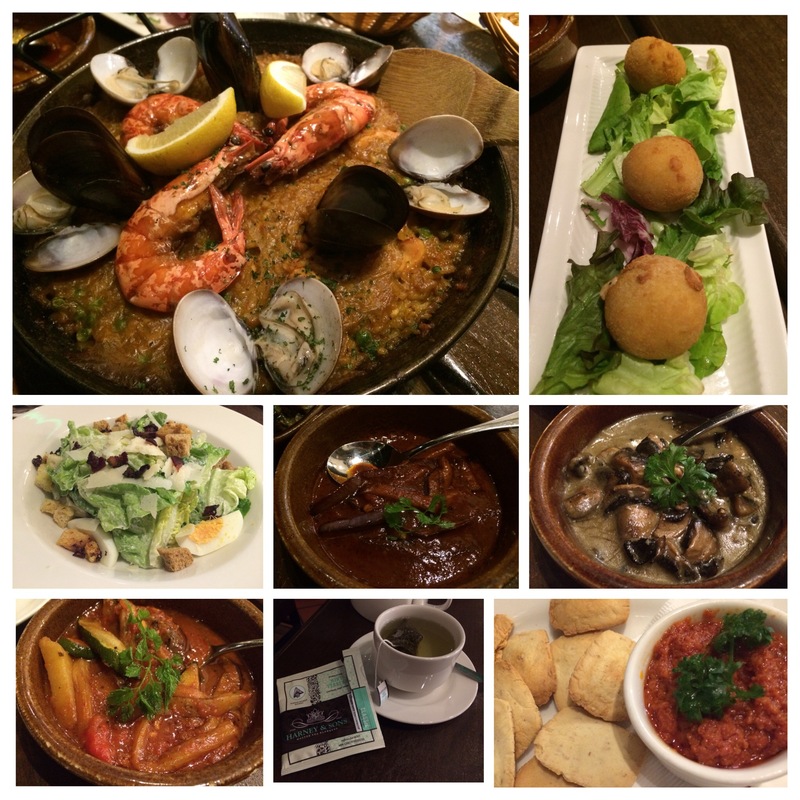 We had Spanish tapas. At the end of the day, burp and double burp is all I can say to sum up this whole gastronomic day. I made it pass Siberian Sorbet rather quickly and was surprised that I came out tops again in this chapter! Yay. But sadly, I am too fast for the updates on the iPad and I have to wait for Cloudberry Creek to appear. Yes, been at it on the laptop, no choice. I must admit I almost gave up Candy Crush Soda over the weekend. Level 415 was just so darn difficult! 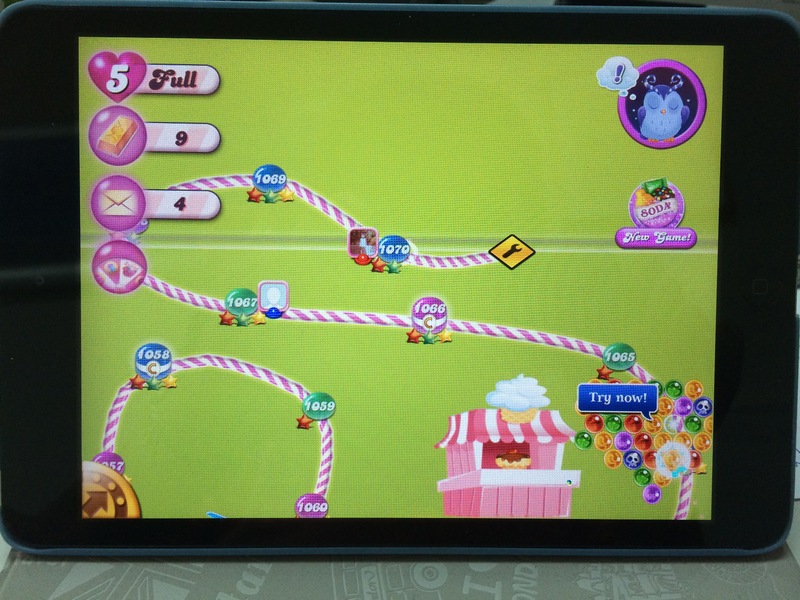 Although I progressed for Candy Crush, having to play it the last few days on just the laptop (again) and even progressing for my Farm Heroes, my frustration at Candy Crush Soda left me toying with the idea of giving up. Thankfully, an opportunity presented itself but I had to use my precious gold bars for five extra moves before succeeding. Phew. I would be terribly upset if I didn’t make it and would have given up then and there. 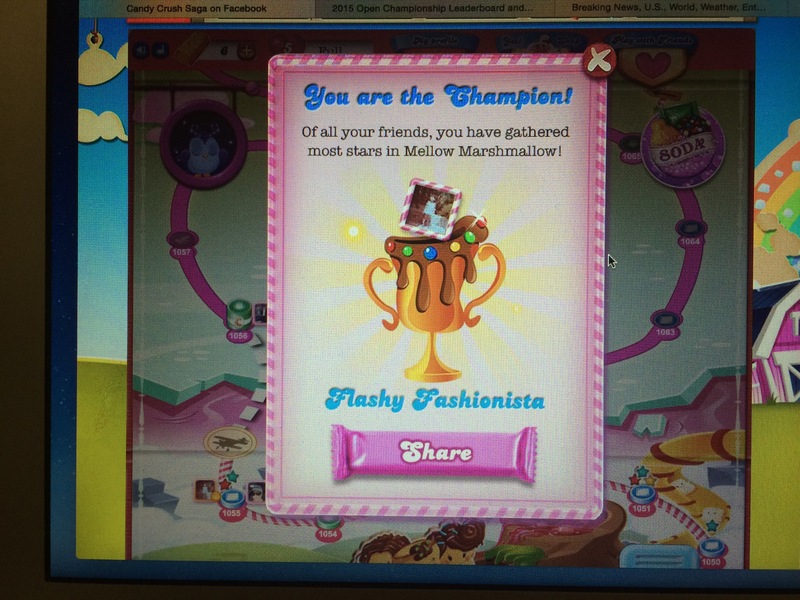 As for Candy Crush, it was a pleasant reward to be crowned champion for the Mellow Marshmallow chapter. I have moved on to Siberian Sorbet and after waiting for two days, the game has automatically updated for the iPad. So back at it on the iPad and I now sit at Level 1069. Whenever we eat authentic Thai food and not the fusion version, we would be hit with the worse sweating and sniffling. A mountain of tissue would always be part of the table mess. 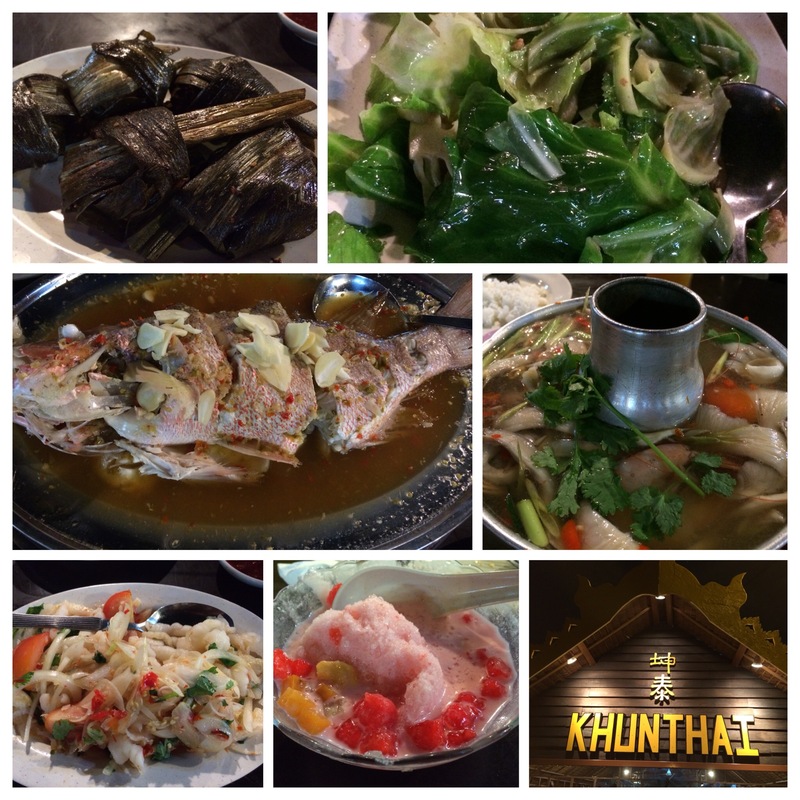 The recent Saturday outing with Mom, we did Thai and that was exactly what happened. Hubby declared he lost a kilo of water and on the verge of dehydration from all that sweating, I fared slightly better and M2, almost in tears from the spicy chilli onslaught. Mom had a good laugh as M2 also complained she had to have three servings of rice to quell the burning sensation. Although we had a clear tomyam, a kerabu, a pandan chicken and a veg, the last two dishes being not spicy at all, it was the lemon chili fish that did us in. Man… It was spicy to high heaven and back! Despite the sweaty experience, it was a good dinner and we look forward to the next outing with Mom. For the first time in many moons, we indulged. 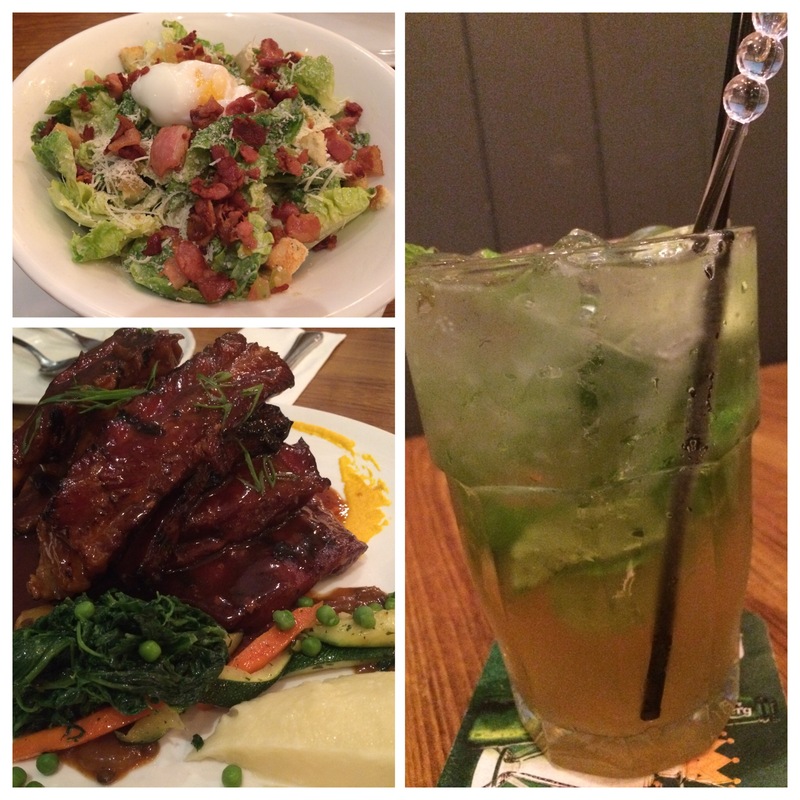 Watched two movies on Friday, Ant Man and Terminator Genysis, and then followed that with a big mojito to accompany the salad and ribs dinner. The movies were good but loud and noisy and I felt an onslaught of a headache. The mojito helped. Maybe this is why I hardly do the movies, let alone a marathon of it, if back-to-back can be considered a marathon. Come Saturday, I played a round of golf. The weather was so hot, the umbrella didn’t help. Well, weather lately has been very hot. So gotta face it and deal with it. Otherwise, don’t play. Then the usual dinner with Mom on Saturday. We had Thai food. An experience worthy of another story. By Sunday, the weather took a turn and it was drizzling and cool. A lazy day but it was nice to wind down the 3-day weekend and kick off the week with a high. It is only a Friday and a public holiday but feels like a Saturday. So we will be doing the weekend routine but with a twist. We are going to the mall for a back-to-back movie outing! I find that this year I am watching a lot more movies than ever. I am never the movie buff like my sibling and Dad. Maybe this will change this year. Dad was a movie buff. I remember when I was young, he would bring my sibling and I to the movies to watch the latest releases of Chinese Kung Fu movies. And we would do this frequently. Dad was into this genre and an occasional thriller/adventure but not soppy romances and horrors. Back in the dinosaur days, western entertainment offerings were rather limited and only mostly from Hong Kong as it was very costly to bring in a Hollywood movie. I never understood all these fighting and its plots; I merely read the sub-titles but I enjoyed myself with the cold air-con, my usual choice of melon seeds and messing up the floor with the shells. Dad was into garbanzo beans. Less messy. Cinema halls back then are also so different from theaters of today. For a mere a dollar more, Dad would always, always buy tickets for the upstairs gallery as the tiered seating offered better viewing than the ground floor, where seats are not tiered. Theaters today offer so much more comfort, ease and choice. 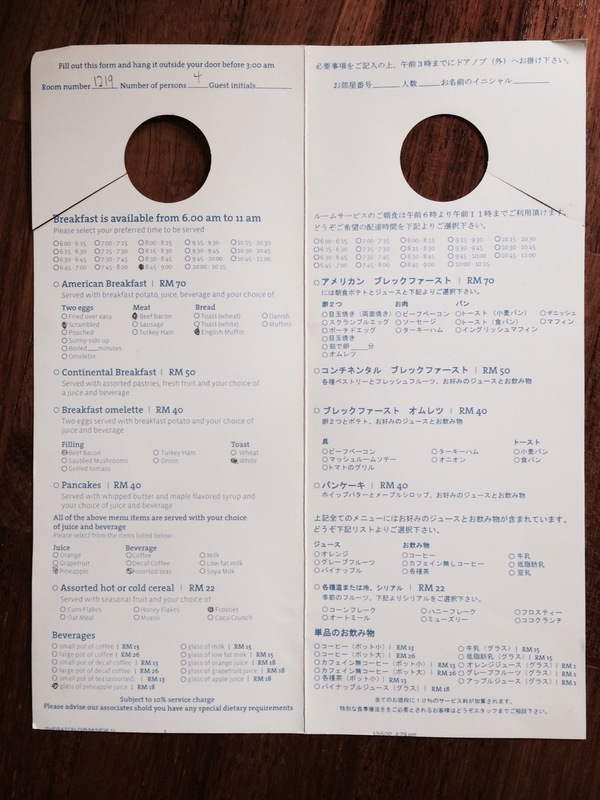 We pre-selected our seats and show time online to plan the day ahead. It’s a good bonding time with M2, doing something with her that she enjoys. I love to collect things, from the typical to the quirky and unusual. Besides the usual knick knacks and paintings from my travels, I enjoy growing my animal figurine collection especially the owls, pigs and elephants. One of my more quirky collection however, is not an animal but the candy dispenser, Pez. I guess when one already have 16 dispensers on display, it can qualify as a collection. 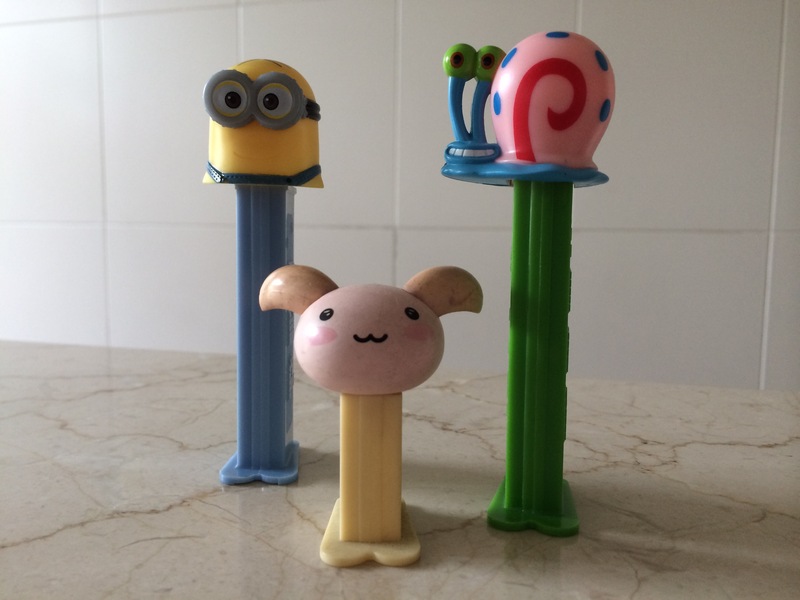 I don’t know why but I simply love Pez. I was at the grocery store the other day and came across these two new ones and I had to get them. Gary now completes my Spongebob collection, while Dave is the first of the Despicable Me family. My all time favorite though, has to be the miniature sized bunny that I bought from Hong Kong many years ago. Apparently it’s a collector’s piece due to its condition. But I didn’t know much about its history then and never bothered to find out; I bought it because it was cute and it appealed to me. But as I am writing this, I am also suddenly curious. So thanks to the internet, yesterday I managed to find out more with some tedious googling. It’s a character for Play Station games. You can see the complete collection, #009 Dokodemo Issyo 1 mini Pez at http://pingu.minipez.net/page/5/. It’s adorable, no?